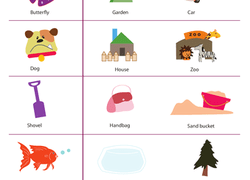 In this worksheet, kids find the titles of well-loved children’s stories — and match them to the sequence of emojis that describe them. Using this fun prediction practise worksheet, students will develop not only reading and comprehension skills—but life skills as well! 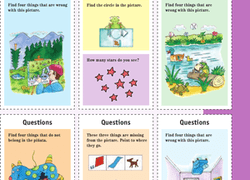 This worksheet features a set of questions to quiz your kindergartener's overall knowledge. Your child will use her reasoning skills as she decides which objects go where on fun worksheet. 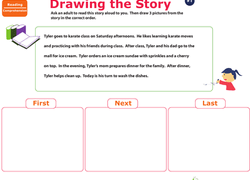 Assess kids' listening comprehension with this drawing worksheet. Kids love to observe what people look like and what they wear. Turn this curiosity into a fun game to help with pre-reading skills.